Dothan is located in the southeast corner of Alabama and is 20 miles west of the Georgia state line and 16 miles north of Florida. Because of its location, Dothan is a transportation and commercial hub for much of Southeast Alabama, Southwest Georgia and some of the Florida Panhandle. Because one-fourth of the U.S. peanut crop is produced in the surrounding area, most of the peanuts are processed in Dothan, earning the city the distinction of “Peanut Capitol of the World.” The city also hosts annually the National Peanut Festival. Additionally, Dothan is known as the “Circle City” due to the fact that it is encompassed by Alabama State Route 210. The county seat of Houston County, Dothan is 25 miles away from Fort Rucker and is served by three four-lane highways: U.S. 84, U.S. 231 and U.S. 431. Dothan Regional Airport services air travel. With a population of nearly 66,000, Dothan’s primary employers are Southeast Alabama Medical Center, Dothan City and Houston County Schools and Flowers Hospital. According to the Alabama Transportation Director, there were 2,705 auto accidents in Dothan, in 2013, which resulted in six deaths and 1,017 injuries. Houston County, which houses Dothan, incurred 3,307 total accidents, including 15 deaths and 1,237 injuries. Statistics such as these remind all motorists that Dothan residents and visitors are not immune to serious auto-related accidents that could possibly lead to injury or death. Please remember, if you or a family member sustains an injury in an auto accident, it is of the utmost importance to seek immediate medical attention. Medical records must be present in order for Dothan car accident lawyers to successfully fight for and secure any compensation to which you may be entitled. Once you have received adequate medical attention, you should immediately contact Hollis, Wright, Clay and Vail, P.C. to determine how to proceed with your claim. Conveniently located in Central Alabama, the car accident attorneys at Hollis, Wright, Clay and Vail, P.C. are readily available to serve those with personal injury needs in Dothan and surrounding areas. Our attorneys are expertly skilled in obtaining just compensation for you or a family member who has been hurt or killed in an automobile accident. Based on the laws of the State of Alabama, you are entitled to seek compensation and claim damages for medical expenses, lost wages, pain and suffering and emotional distress. If you incur a permanent or life-changing injury due to your accident, remember you are also entitled to be compensated. 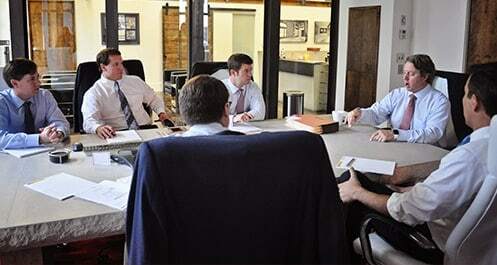 With combined experience of more than 100 years, the Dothan car accident lawyers at Hollis, Wright, Clay and Vail, P.C. are more than qualified to handle your auto injury claims. In business since January of 2002, our attorneys are well connected and have been serving Alabamians for 15 years. Our attorneys evaluate each automobile accident case thoroughly and with care and concern to get you the best possible outcome and the compensation you and your family deserve. We commit significant resources, financial and time, towards recreating and investigating accidents in order to determine exactly what transpired. If you or a member of your family has been injured or killed in an auto accident, please contact us at 844-529-8255 for a free and confidential consultation. Our car accident lawyers serve Dothan and handle all cases on a contingency-fee basis, meaning we only receive payment if we successfully recover money for you and your family.